What If McKinney Police Refuses to Write A Car Accident Report? 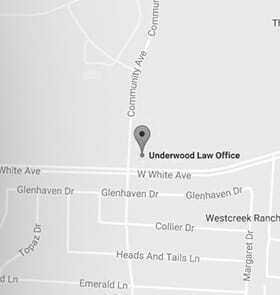 You are here:Home>Texas Car Accident Lawyer>What If The McKinney Police Refuses to Write A Car Accident Report? We have recently learned that several local police departments, including the McKinney Police Department, are refusing to write reports after non-life threatening car accidents. Police reports play a huge role in your personal injury case, especially if other evidence is scarce. If law enforcement officials fail to do their job, you risk personal injury damages or even criminal charges. What Are the Police Supposed to Do After A Car Accident? After questioning accident victims and witnesses, the officer should secure the scene to preserve evidence. Spectators should be cleared from the area, and if necessary, other vehicles rerouted. From there, evidence must be tagged and secured in keeping with authorized evidence gathering procedures. The officer should submit an CR-3 state accident form (which includes the basic details outlined above), along with statements, scaled diagrams, or photos of the accident scene. One of our clients was involved in a collision near Lake Forest and Highway 121 in McKinney. The McKinney police officer that arrived on the scene refused to write a report even though several cars were involved in the car accident. Of course, the at fault party changed their story several days later when they learned that no accident report would be prepared by the officer. We encouraged the client to file a formal complaint with the McKinney Police Department to help put a stop to the practice. Even when they write a police report, officers may make factual errors or mischaracterize drivers or witnesses when assessing car accidents. If the police officer refuses to write a report, or you suspect that the police officer responsible for investigating your accident made errors, recourse may be possible. A complaint to the McKinney Police Department may be appropriate. Your police report can play a huge role in your case. It’s worth your while to challenge the practice of refusing to write reports with help from a trusted attorney. No matter the circumstances surrounding your Plano, Frisco, Allen or McKinney car accident, it’s important to get in touch with a skilled McKinney attorney. Contact Mark Underwood at Underwood Law Office at 972-535-6377 to schedule a free consultation. We are located at 2530 W White Ave, Suite 200, McKinney TX 75071.